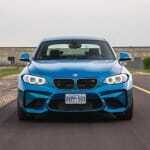 As passionate car guys, we lusted after its spec sheet and eagerly anticipated our allotted time with it. 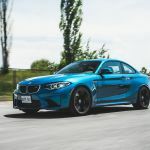 Despite testing everything from the base model Nissan Micra (reviewed here) all the way up to the stunning Rolls-Royce lineup, there’s something about a small, powerful European coupé that just resonates with me as a car guy. 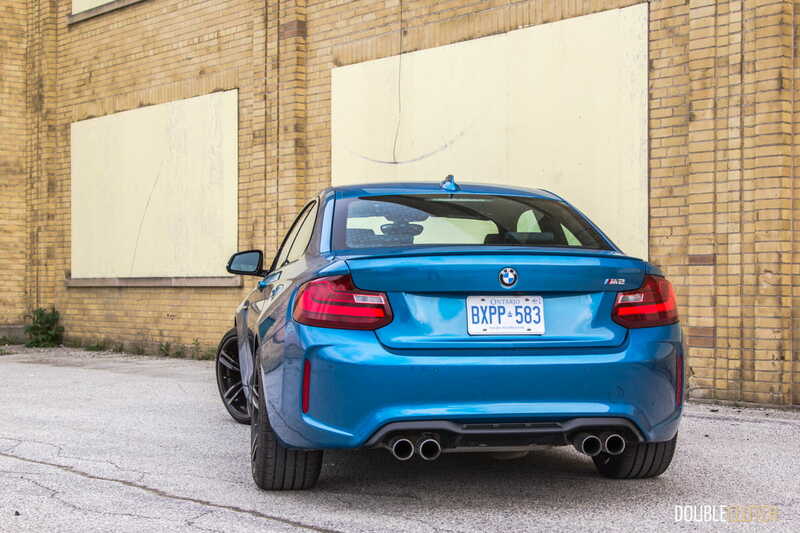 As a teenager, the BMW M3 was always a car that I admired and aspired to own someday, and as it also grew up, it gravitated from a perfectly proportioned coupé with a buttery inline six-cylinder engine to a larger sedan with forced induction. 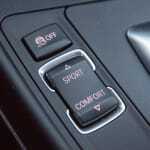 To cope with this unavoidable growth in the automotive industry, the Bavarians have developed a solution. Based on the smaller 2-series, the 2016 BMW M2 is the spiritual successor to the M3s of the past. 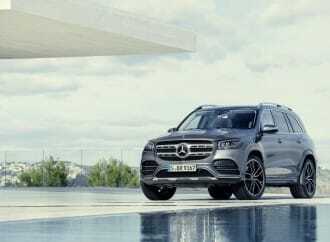 At least, I’d like to think so. 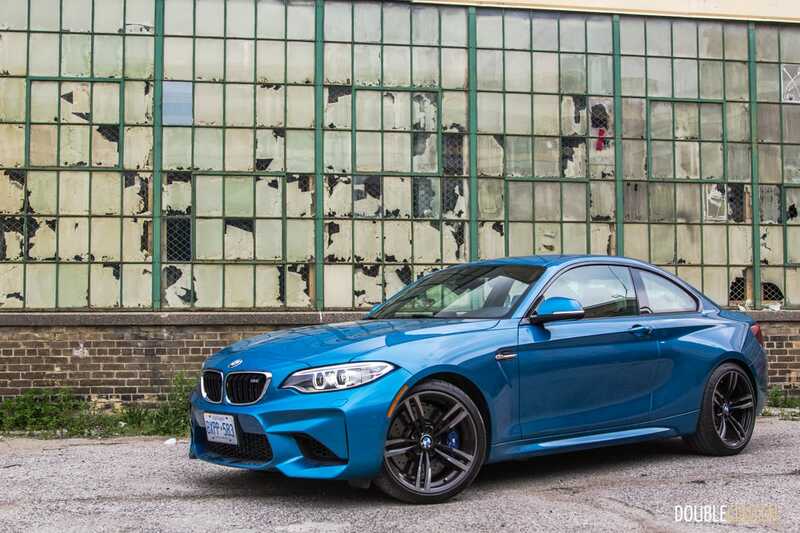 The M2 may share a few basic components with the M235i (reviewed here), but it’s far more than just a beefed-up version of the regular car. 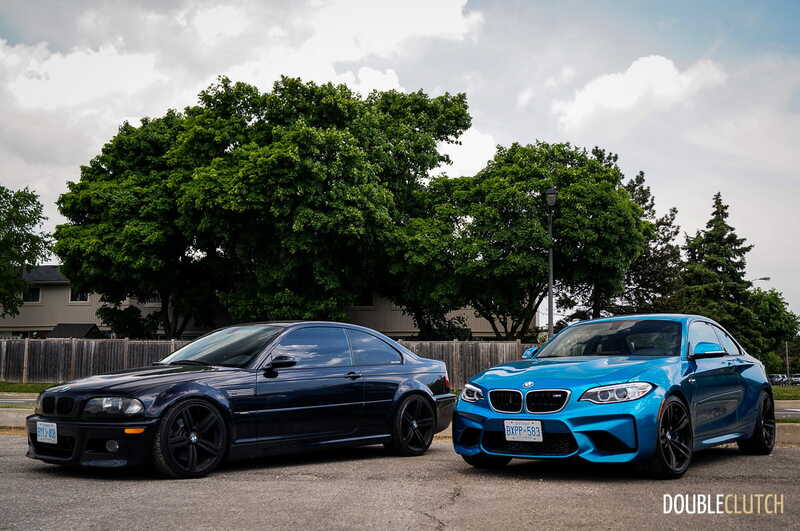 This is a full on M car and there’s no doubt about it. 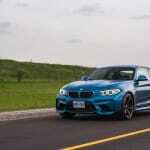 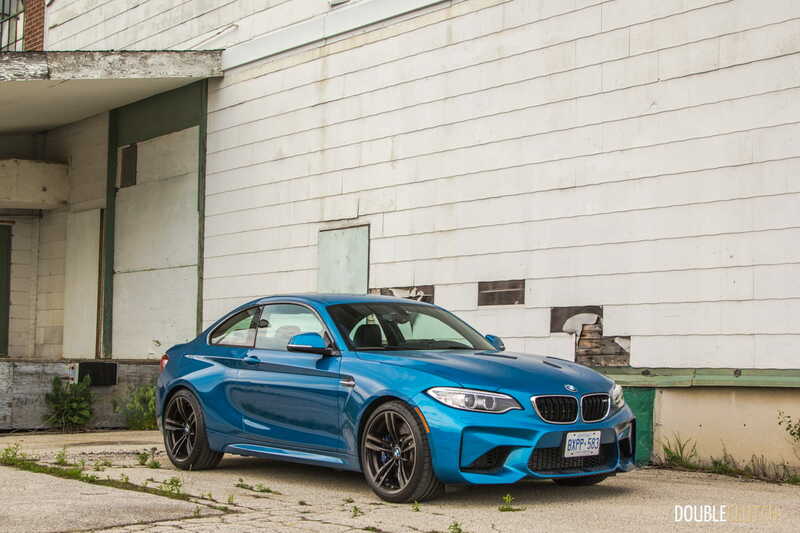 Immediately evident at first glance is the stance of the M2 – its 19” wheels (BMW Style 437M) on meaty summer tires give it an aggressive look. 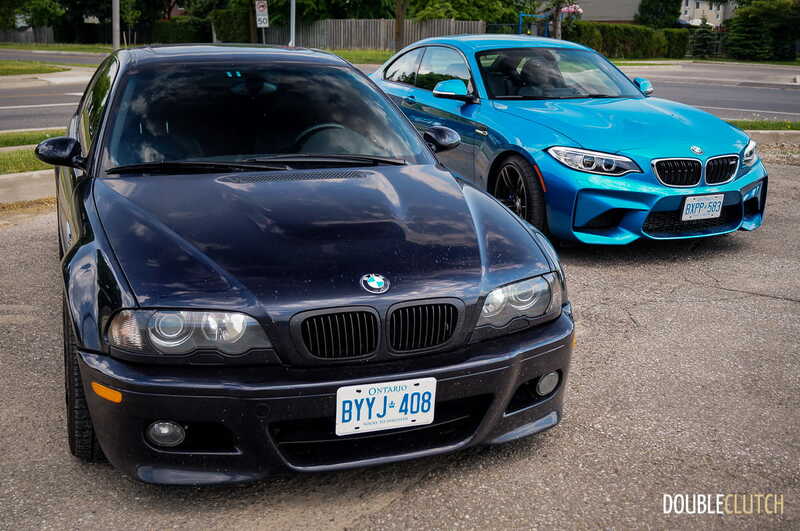 Adding to this look is the widened body with flared fenders; it really does look like an evolution of the E46 (1999-2006) M3. 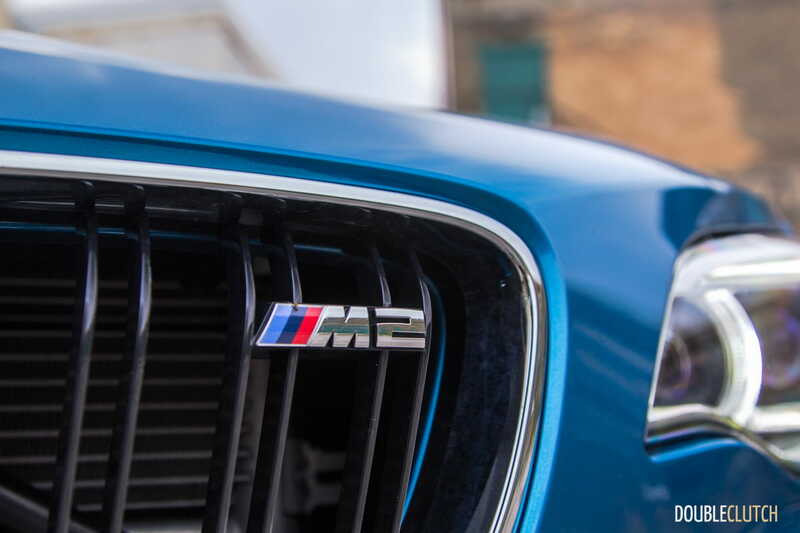 Our test vehicle was finished in Long Beach Blue, which in our eyes is the only colour it should be offered in. 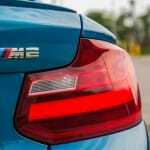 The rest of the design is remarkably simplistic while maintaining all of the iconic traits of a BMW M product, including kidney grills, quad exhaust tips, and a tasteful lip spoiler on the trunk lid. 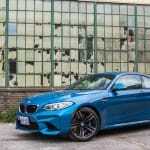 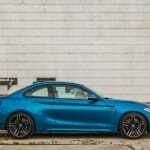 A heavy point of criticism with the M2 is its powertrain – BMW’s M engineers have chosen to employ a version of the same N55 3.0L inline turbocharged six-cylinder as the M235i. 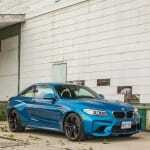 Though the same fundamental block, the M2 borrows a few components from the M3 and M4, as well as a significant amount of engineering, unique tuning and engine mapping. 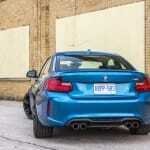 As a result, the baby M-car pushes 365 horsepower and 369 lb-ft of torque to the rear wheels. 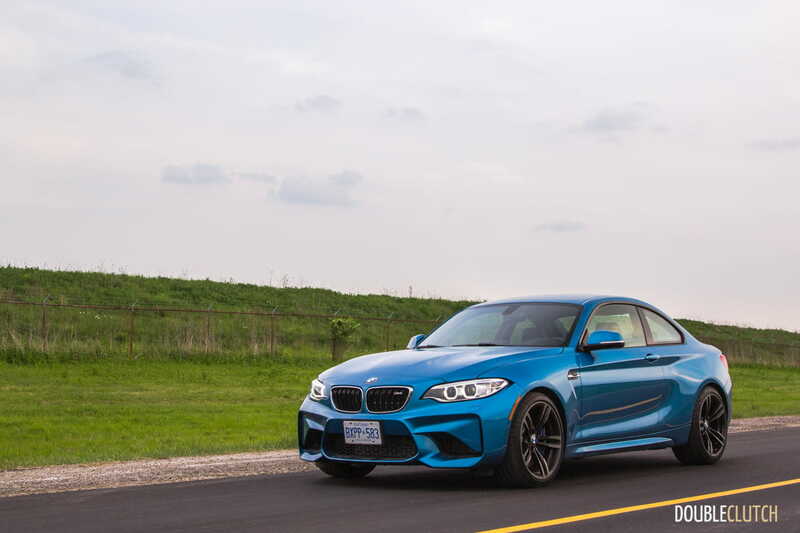 The M2 hustles to 100 km/h in four seconds flat, and our friends at American media outlets have been able to squeeze quarter-mile times in the 12.5-second range. 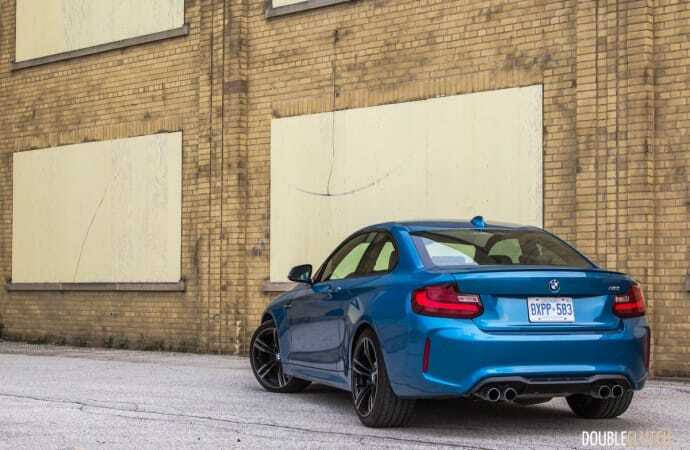 Throttle response is very crisp, and the M2 is an eager driving companion on any sort of road, whether it be a long highway run or a curvy B-road. 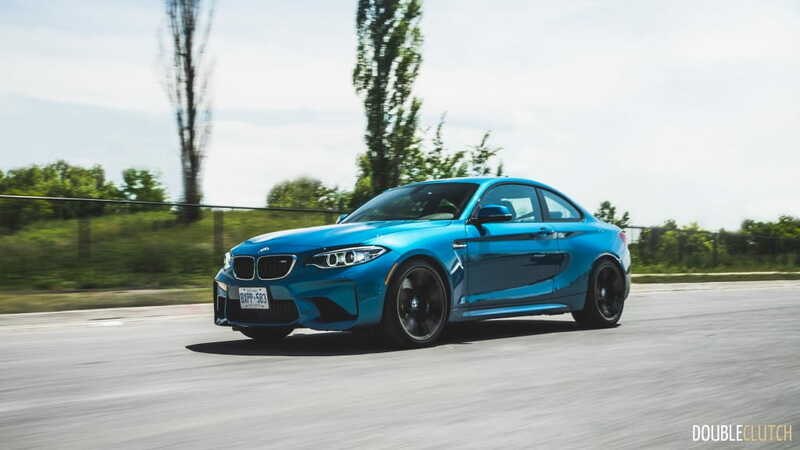 The car emits a symphony from the exhaust on wide-open throttle, upshifts, as well as flawless rev-matching on downshifts when the transmission is in the sportier settings. 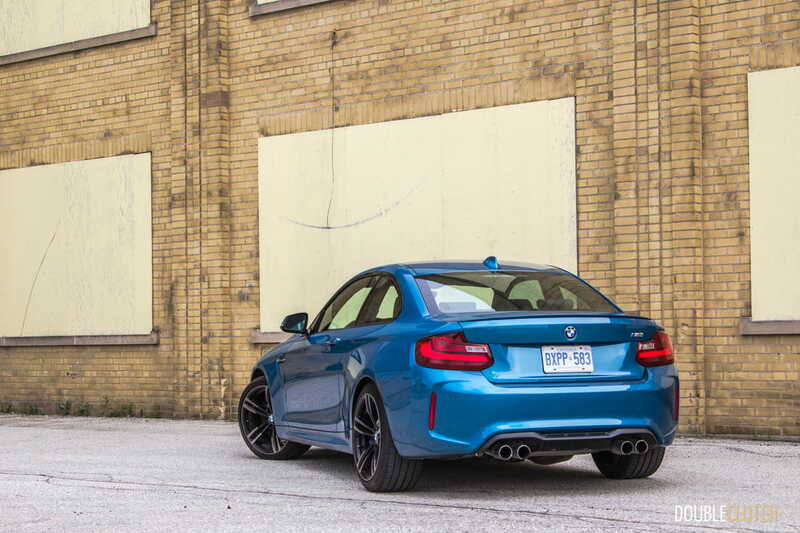 As with other modern BMWs, there is some artificial sound pumped into the cabin, but the M2 sounds much more natural than its M3 and M4 siblings (reviewed here). 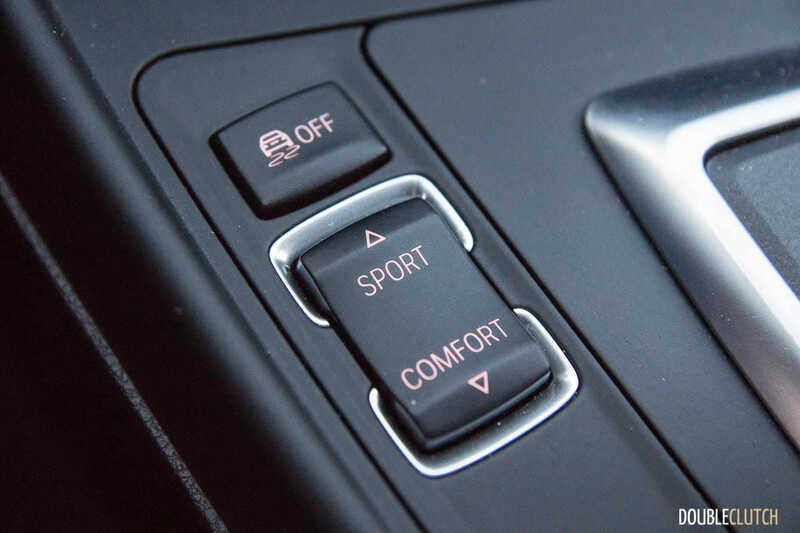 The standard “Comfort” setting is still very good, but things liven up considerably when “Sport” and “Sport Plus” are engaged. 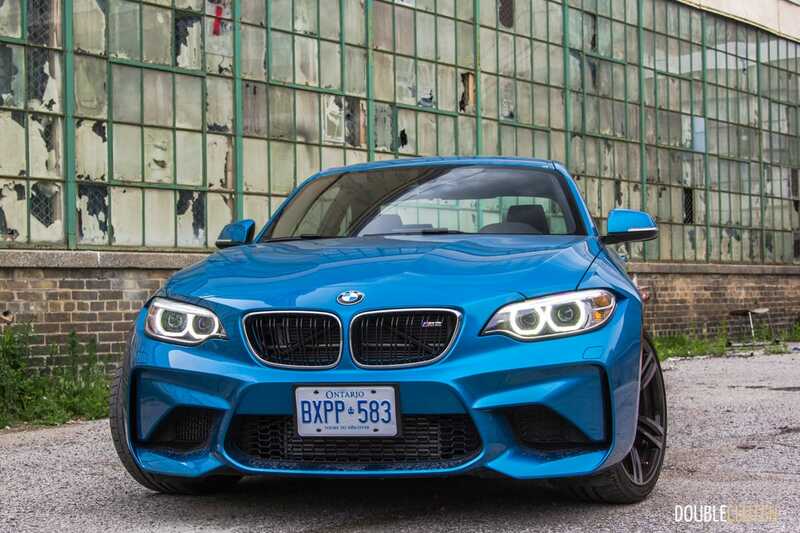 Thankfully, even in an age of two-pedal vehicles, BMW understands the importance and enthusiast demand behind a traditional six-speed manual. 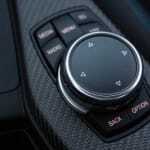 However, it’s undeniable that technology has brought the dual-clutch gearbox to a point where the two-pedal model will always be faster and more responsive, delivering lightning-quick shifts. 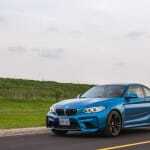 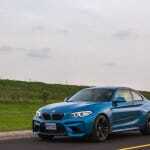 Our M2 tester was optioned with BMW’s seven-speed dual-clutch gearbox, easily one of the best in the industry. 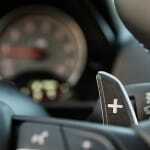 The only superior units are Porsche’s PDK (reviewed here) and Audi’s S-tronic. 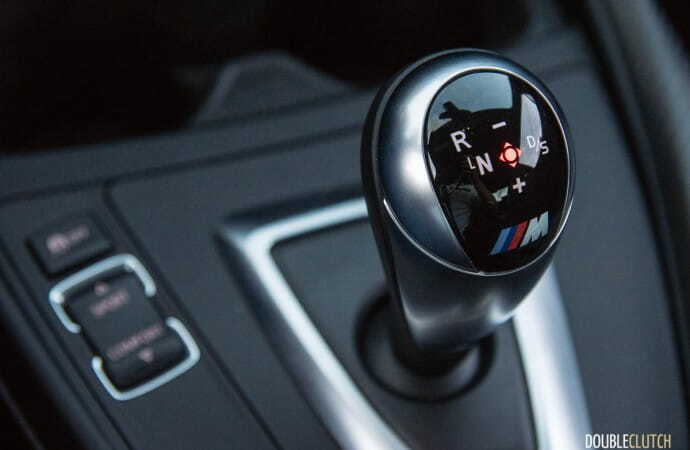 The gearbox is capable of pulling off upshifts without interrupting power delivery at all, and uses shorter ratios for second, third and fourth gears. 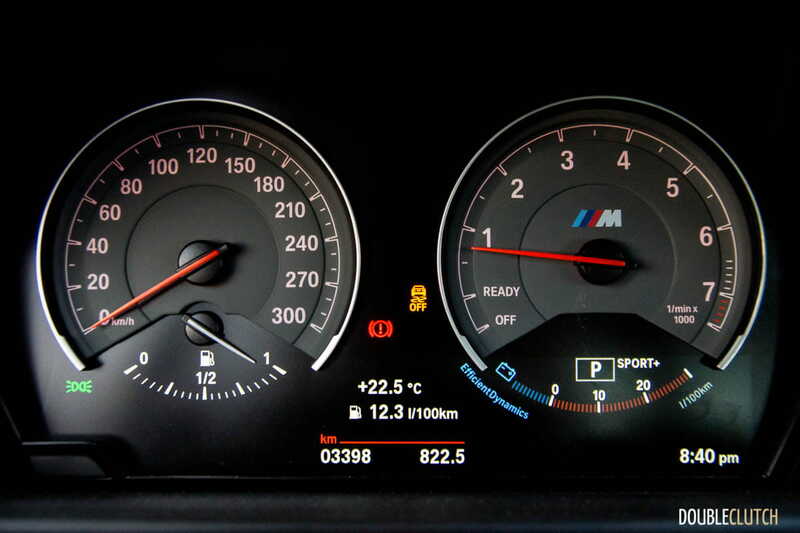 DCT M2s are also equipped with launch control, which is accessible by putting the car into “Sport Plus”, turning off stability control, holding the brake and bringing revs up to about 4,000RPM. 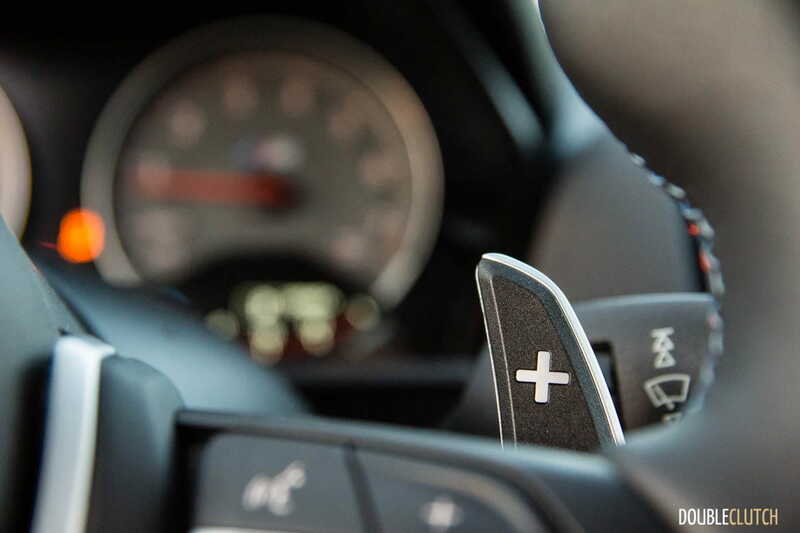 An interesting point is that while doing this, the accelerate/coast switch for the cruise control can be used to toggle launch revs. 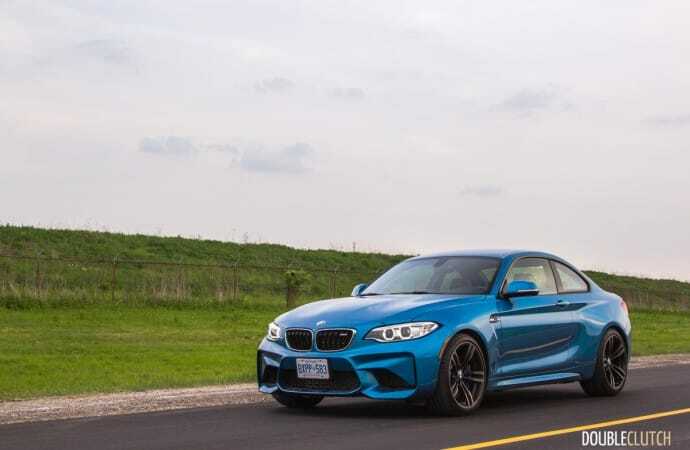 The M2 launches in a drama-free manner and is easily able to chirp tires on shifts 1-2 as well as 2-3, depending on the RPMs and extent of throttle applied at the time. 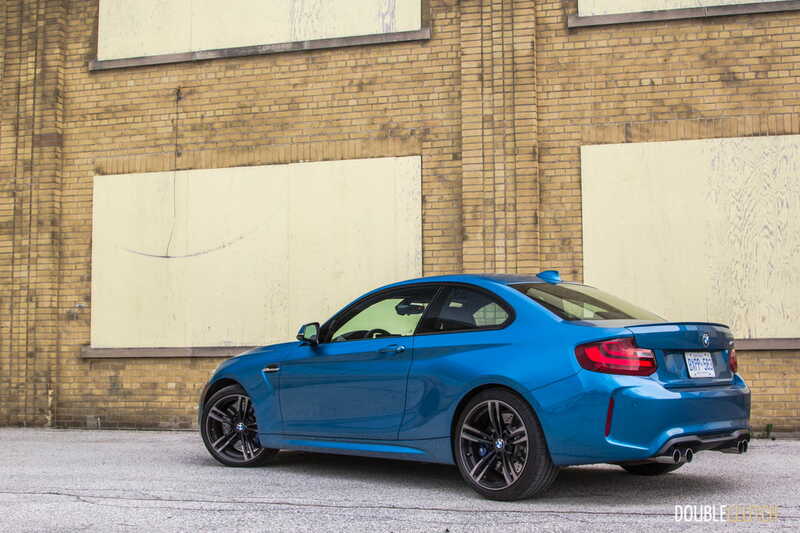 Naturally, standing true to its M pedigree, the M2 corners like it’s on rails. 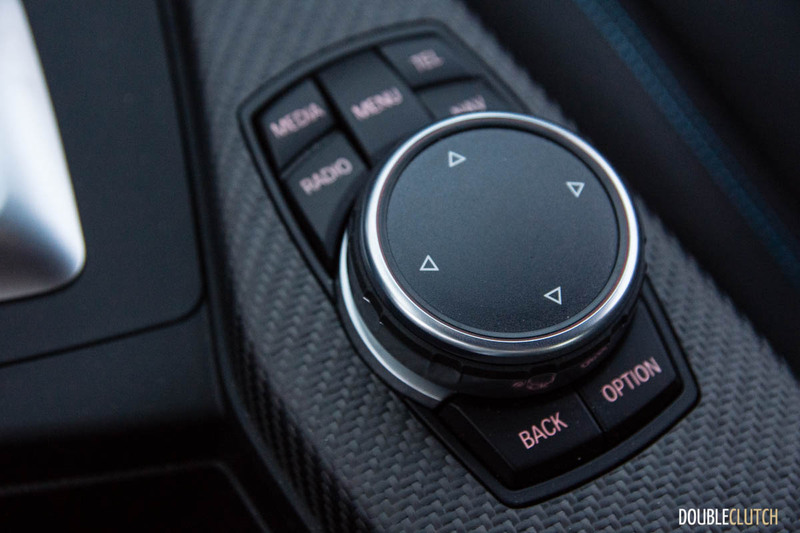 The electrically assisted steering is a bit of a letdown when driven back to back with something with an older hydraulic setup, but that’s only with regards to actual feel. 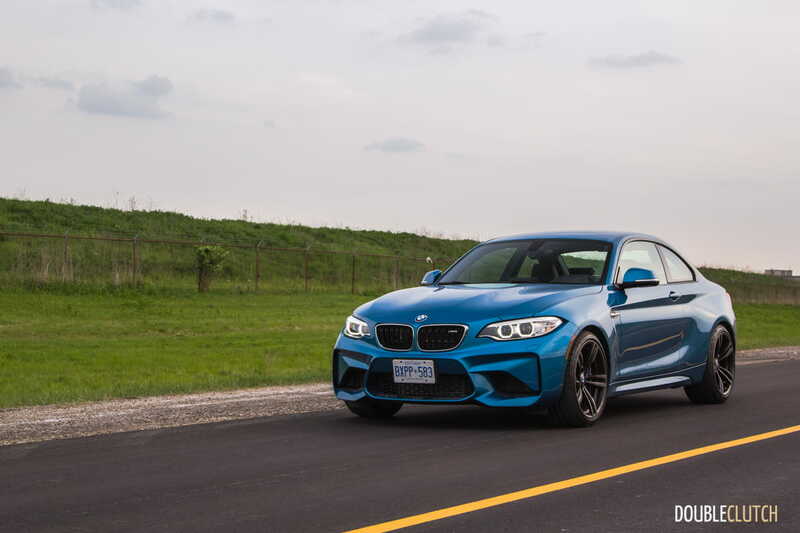 The M2 still handles with tenacity and persistence around all corners; with eagerness to kick the rear end out whenever the driver wants to induce oversteer. 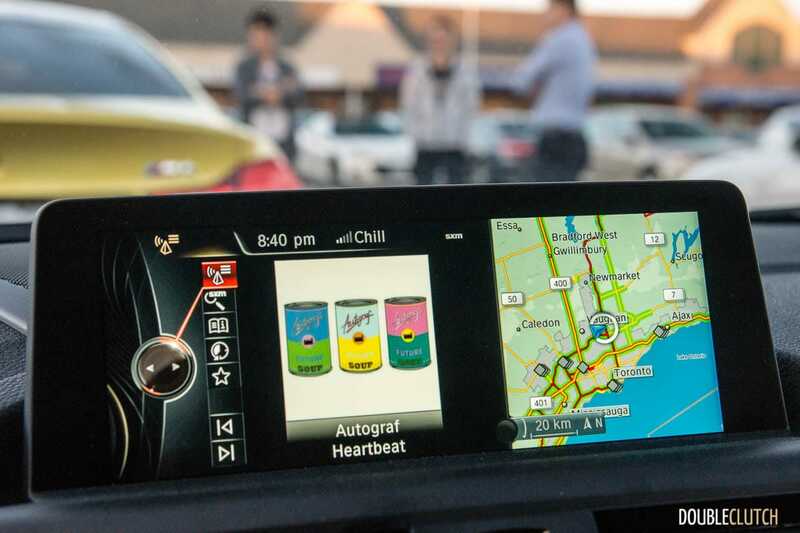 Despite its power levels and complexity, perhaps the most surprising thing about the car is how easy it is to manage on an everyday basis. 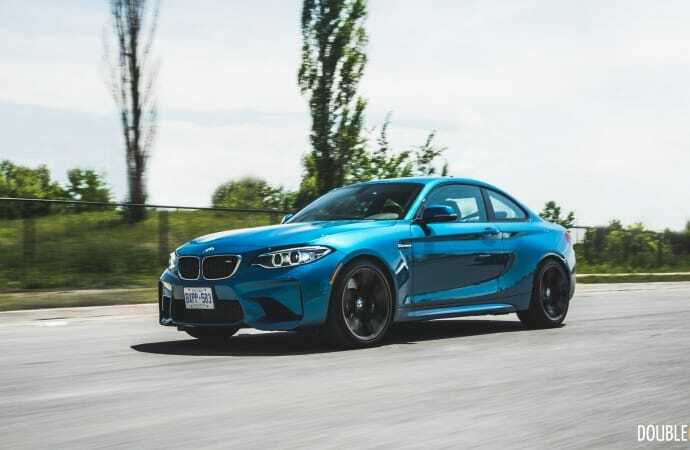 The large, meaty M-Sport steering wheel is a delight to hold and fling from side to side when threading the M2 through twisty, hilly roads. 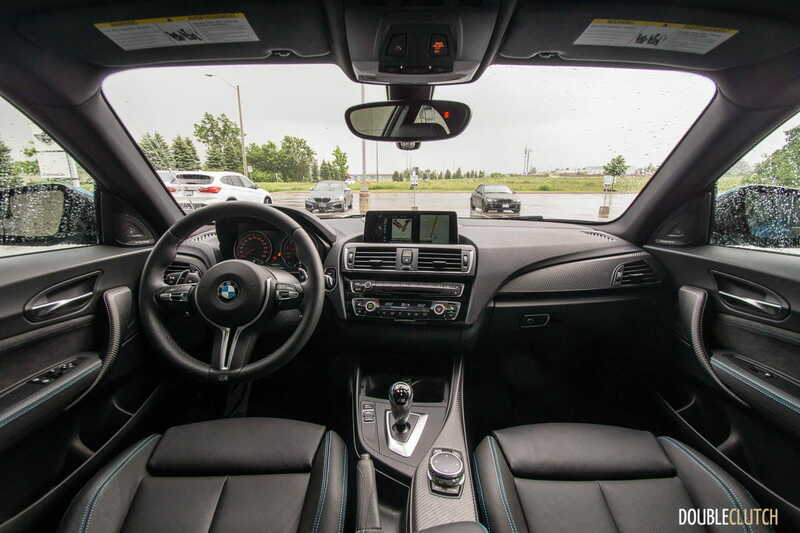 Opening up the driver’s door and stepping into the cabin reveals the M2’s very familiar interior. 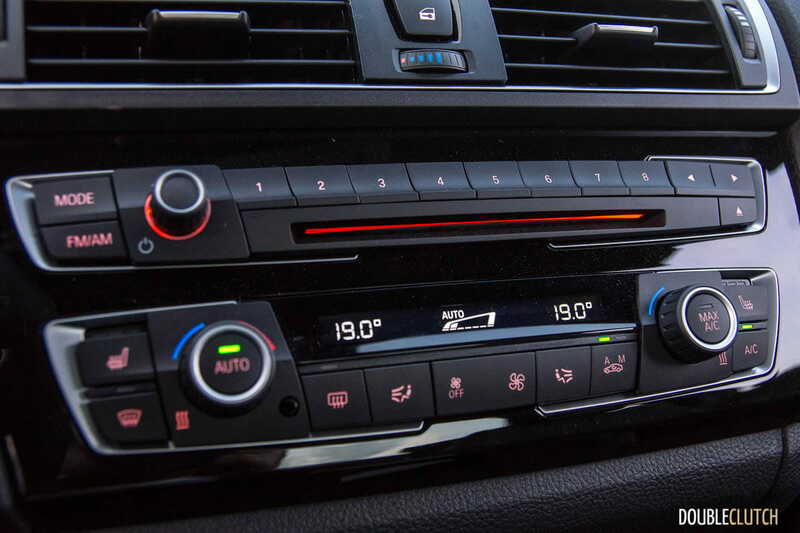 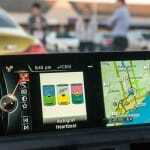 Anybody who has driven a BMW in the past three or four years will find no surprises, and all controls easy to identify and access. 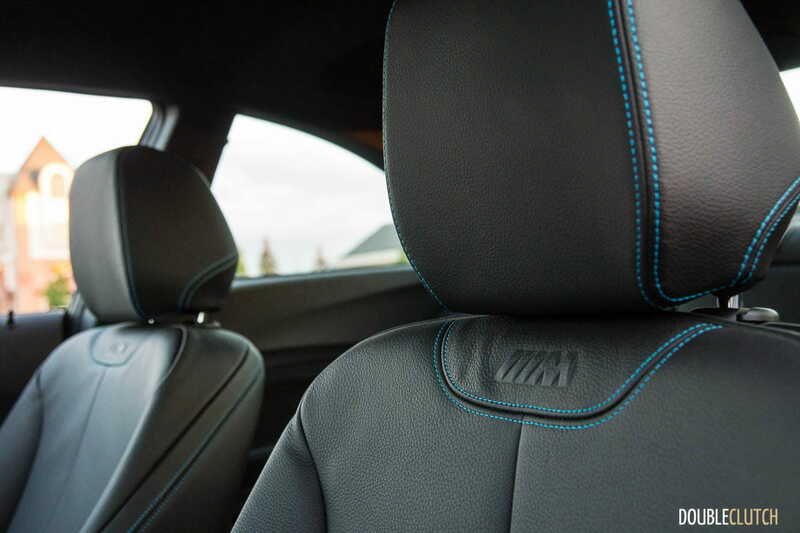 The seats are well-bolstered, power adjustable, and have some exquisite blue stitching that perfectly matches the Long Beach Blue exterior paint. 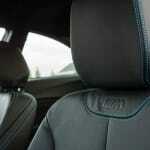 The driving position is very good, but unlike other BMW cars, the seat doesn’t go as low as I’d like. At 6’1 with long legs, this means I’m sitting a bit higher than an ideal driving position would have me, and headroom is less than desirable. 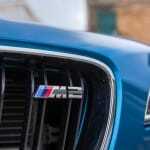 Even still, this is a car that fits me very well, definitely about the right size for a fan of older M3s. 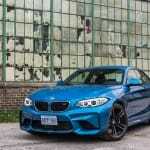 An interesting fact about the pricing strategy of the M2 is that it only comes one way with regard to options. 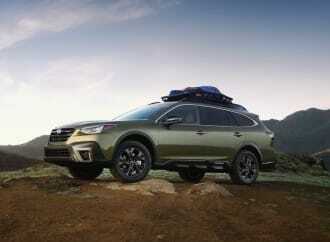 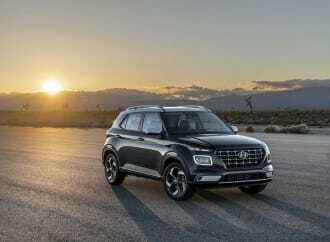 The base vehicle is priced at $61,000 and includes everything one would want, including navigation, Bluetooth connectivity, all of the performance goodies, and the six-speed manual transmission. 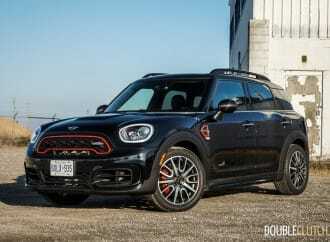 The standard car comes in Alpine White, and three other colours (Long Beach Blue, Mineral Grey, and Black Sapphire Metallic) can be had for an additional $895. 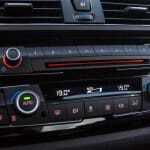 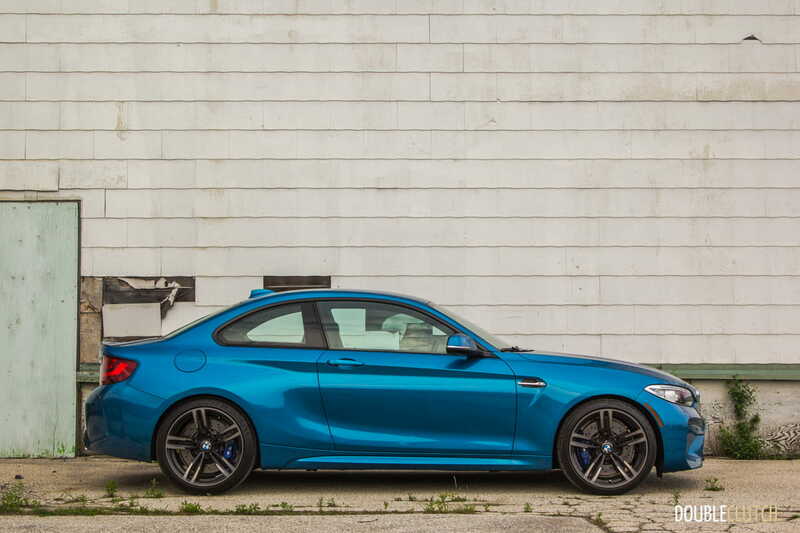 The only available option is the M Double-Clutch Transmission, which BMW charges $3,900 for. 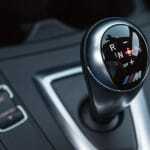 Many enthusiasts will opt for the manual, but it becomes easy to understand why the DCT will be the more popular option. 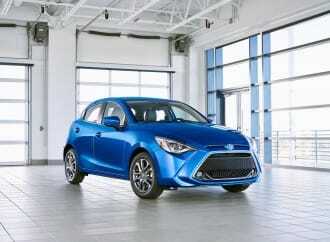 Strict regulations for safety have new vehicles increasing dramatically in weight, and this includes sports cars. 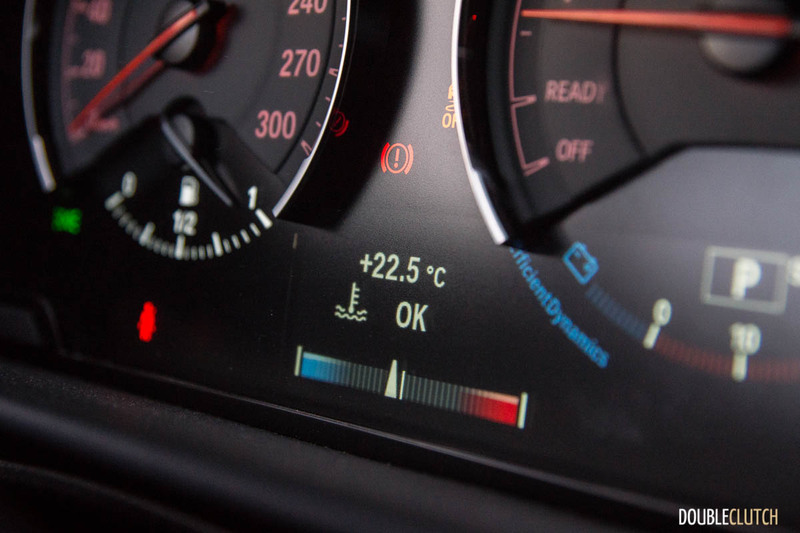 However, BMW has taken great strides to ensure that their performance vehicles save weight in favour of both performance and efficiency in recent years. 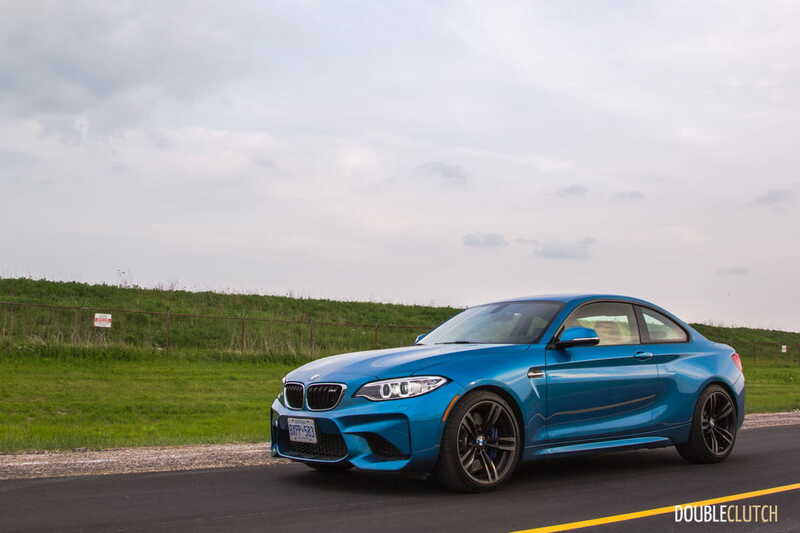 As such, despite its turbocharged six-cylinder, the M2 remains a fairly efficient vehicle when driven with a light foot. 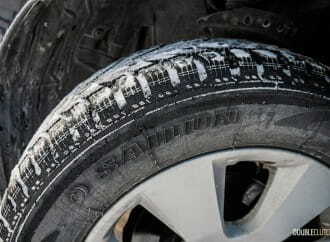 We were offered almost two weeks with the car, during which we experienced many driving environments. 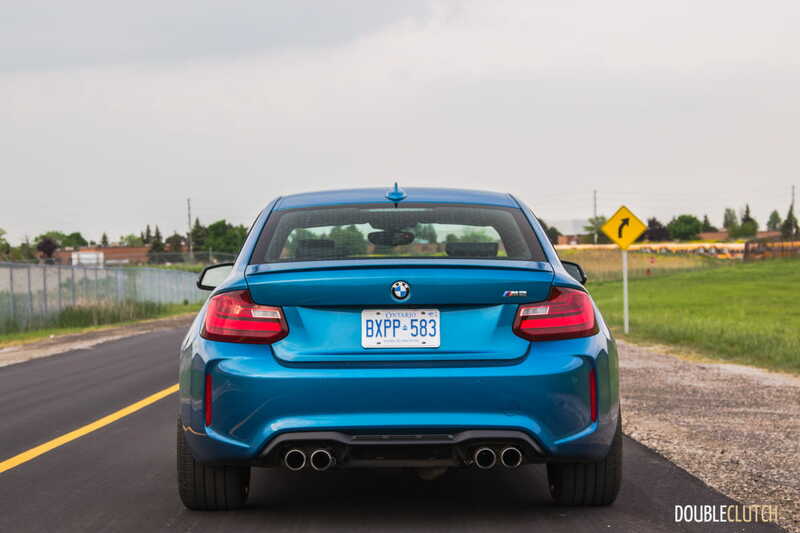 On longer highway runs, it was quite easy to keep the car in the 8L/100km range, and we averaged a combined 12.2L/100km over the course of our test. 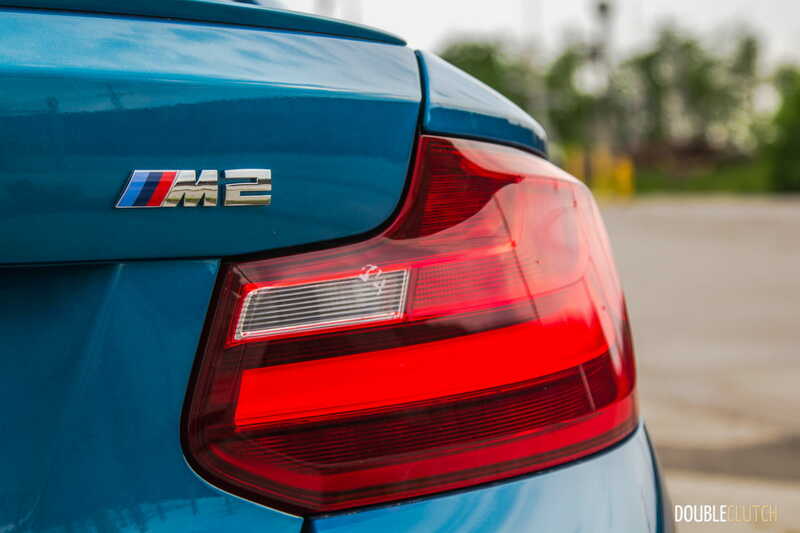 Of course, this consisted of quite a bit of spirited driving – after all, this is an M car. 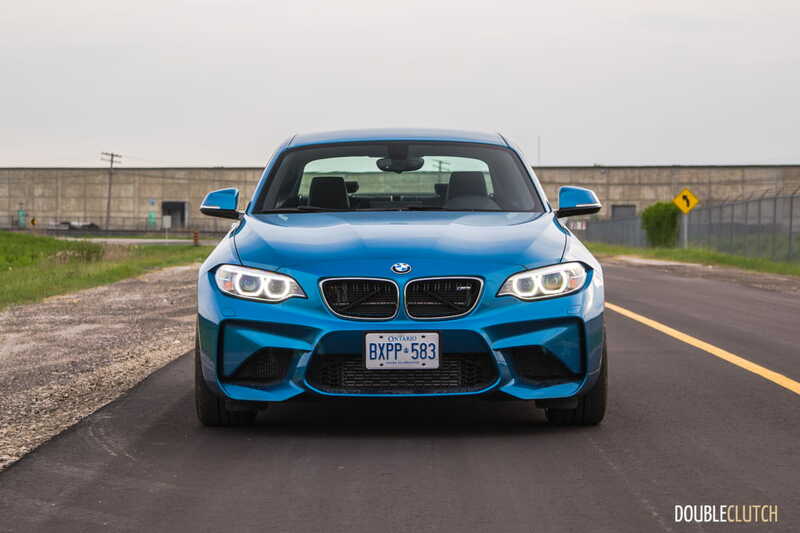 The 2016 BMW M2 was easily our most anticipated road test this year. 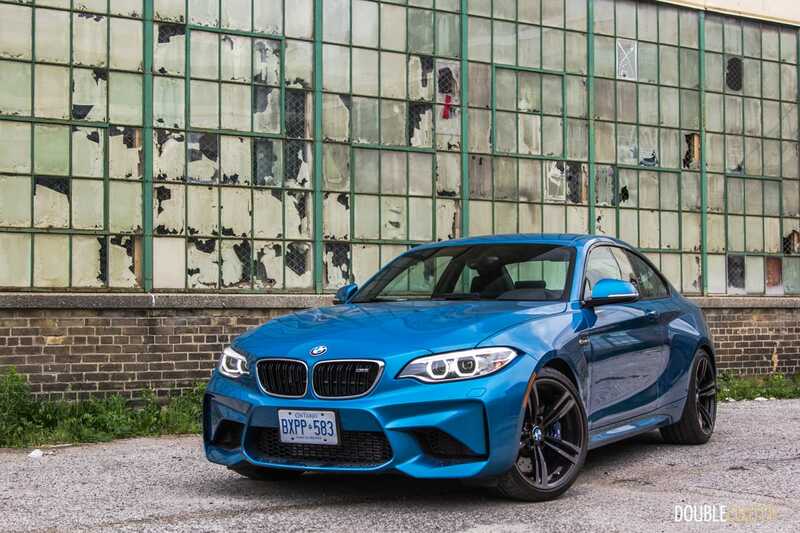 As passionate car guys, we lusted after its spec sheet and eagerly anticipated our allotted time with it. We received many questions and inquiries from our readers after seeing photos on social media about whether or not this car is a worthy successor to the E46 M3 and even the iconic 1M. 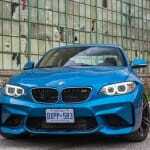 The dual-clutch transmission has come strides since the SMG sequential box in the E46, and that alone is a huge performance advantage. 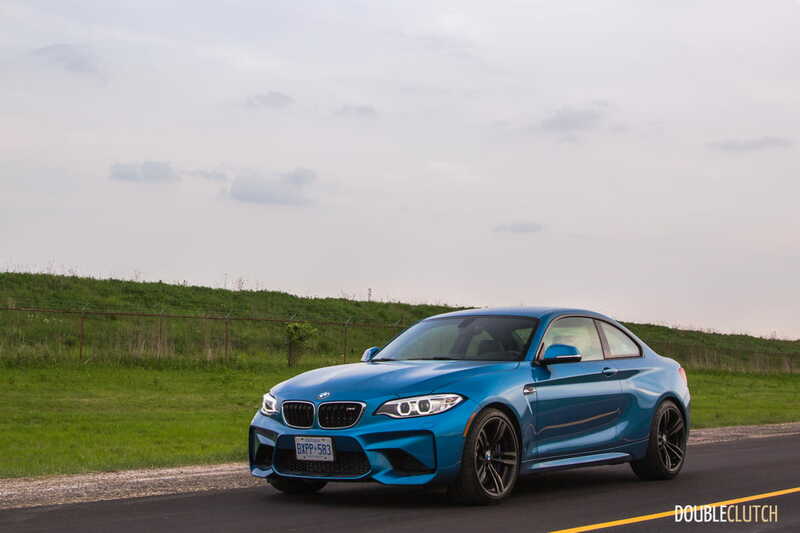 Perhaps it lacks the heavy hydraulic feel of the older cars’ steering, but with regards to power delivery, size, and overall dynamics, the new M2 is admirable and one of the most agreeable drivers’ cars available today.